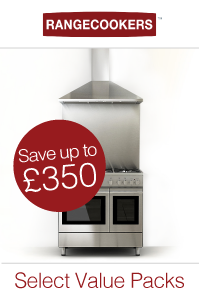 £300 Cashback on Beautiful Bertazzoni Induction! One of the most desirable cooking brands on the market, with style and competence in abundance, Bertazzoni is internationally renowned and admired. The Bertazzoni Pro Series is a home chef’s dream come true, with clean, bold and jealousy-inducing Italian styling underpinned by superb engineering quality and the best components this premium manufacturer can get. The triple-glazed doors drop down with a satisfying weighty feel on their top-notch hinges to reveal generously proportioned oven cavities with particularly heavy-duty shelving. There is also a plug-in meat probe, enabling you to set the target temperature (guidance in the user manual) for your joint via the very impressive touch-screen control panel, and achieve perfect succulent results every time. The control screen is a joy to use, and also lets you set the auto-programmer for timed cooking. The rather beautiful rotary controls not only look great, their simple tap design means you can tell at a glance what is on and where, with the positions clearly printed onto the angled heat deflector profile below. More and more people are turning to induction as a modern solution to their cooking needs. Not only does it deliver amazing powerful and ultra-responsive heat, it is so easy to clean and looks pretty sleek too. Professional chefs have relied on induction for many years as it creates heat directly and evenly within the pan, so there are no hot-spots to ruin a good sauce or burn a caramel or jam. Cooks who convert to induction from gas do not look back and usually wonder why they ever used anything else! In case you were wondering, induction uses electromagnetic energy to excite the ferrous molecules within a pan and “induce” heat - a very safe and efficient process, and because the energy being delivered can be instantly changed you can go from a full, boosted heat to a gentle simmer immediately. Should you get any spills you can lift the pan and wipe the glass surface down safely, as it does not get dangerously hot (just some reflected heat from the pan), and there are pan and boil-dry detectors built in, in addition to a child safety lock to prevent curious meddling and hot-hob indicator lights to remind you what is or has has just been on (the zones themselves do not change colour). The Bertazzoni Pro Series features five induction zones, controlled via the rotary controls on the front of the cooker. if you want to know more about this very special brand. One of Italy’s oldest and best known brands, fully and expertly supported in the UK, Bertazzoni has always a discerning choice and if you are looking for a truly premium and refined experience in the kitchen then it is one that will never disappoint. 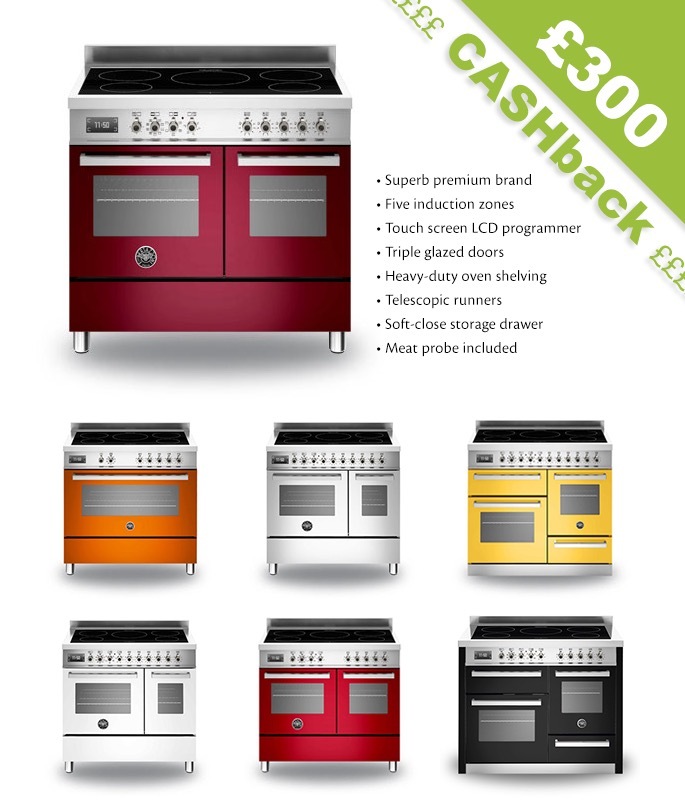 Whether you are a keen domestic cook or a professional chef looking for something consistent and reliable for your own home, these beautiful range cookers live up to their premium price. With equally impressive extractor hoods, built-in ovens and fabulous freestanding refrigerators to perfectly match we recommend that you consider buying into the Bertazzoni look on a bigger scale, but if you have arrived at a place in your life where you feel you deserve the best a superb Bertazzoni Professional range is a very good place to start.